Bad Becky is cheeky (but charming), opinionated and always in some kind of trouble. But you can't help loving her. This title tells a story about a princess who gets gobbled up by the dragon rather than another soppy one where the prince saves the princess. Bad Becky is cheeky (but charming), opinionated and always in some kind of trouble. But you can't help loving her! I mean wouldn't you rather hear a story about a princess who gets gobbled up by the dragon rather than another soppy one where the prince saves the princess? And if a magician at a party was rubbish wouldn't you point it out? And who wants their horrible Great Aunt Mildred visiting? 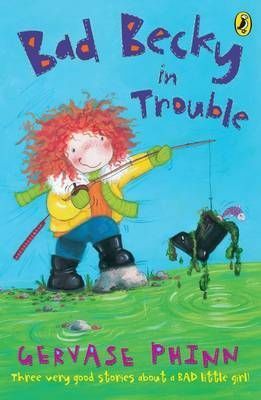 So really, Becky is just doing everyone a favour ...A wickedly funny new series for readers gaining confidence. Bad Becky's got attitude!